Convert Lotus Notes to Apple Mail, Thunderbird, Eudora, Entourage etc. Quick Notes NSF to MBOX Conversion with high accuracy. Create MBOX with Folder Hierarchy: This option helps to preserve folder structures and create MBOX file inside folders. Create MBOX without Folder Hierarchy: With this option, you can create MBOX files on user defined location without any folder hierarchy. Unimited Size of NSF File: Export any size of Lotus Notes NSF database to MBOX file. Converted MBOX file completely supported by all email clients which are supports MBOX file format. Supported by Lotus Notes 9.0 and its below versions. DEMO Facilities to export 15 items from every folder of lotus Note NSF to MBOX file at free of cost. If you are seeking the way to export lotus notes to MBOX file then use this smart NSF to MBOX Converter software which speedily scans IBM notes file and convert lotus notes to MBOX file without creating any problem. 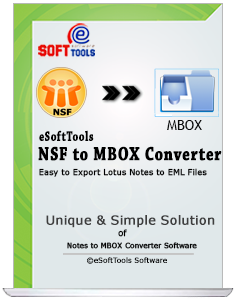 NSF to MBOX Conversion Software performs to do selective folders conversion from lotus notes, all users are capable to recover selective folders from NSF file and convert NSF to MBOX file with preserve data. Lotus notes NSF to MBOX Converter software is great utility that upholds folders hierarchy and email formatting (to, bcc, cc, time, subjects and from) during NSF to MBOX Conversion process and allows viewing software working functionality. Not require having technical knowledge, the best thing of the software is uses simple graphical user interface that can be handled by any types of users (Tech or Non- Technical) to Convert NSF to MBOX file with preserve data or keeps mails formatting untaught. Demo Limitation - The Demo Version demonstrate you complete working process and facilitates to export 15 items from NSF to MBOX file. Select Lotus Notes NSF Database. Can I add and load several EML files for migration data into MBOX format through the Software? Is there any EML file size limitation defined to perform the conversion by this Software? No, there is no file size limitation defined to perform conversion data of EML files to MBOX files. Any size of EML file, you can convert into MBOX file. Does the EML to MBOX Converter Software require any kind of Email client’s installation to Export the data? No, the software is not dependable on any kinds of emails clients for doing the conversion process. This software requires only EML file supported any email clients for conversion. Will your software convert EML files of different email clients at once? I have a backup of EML files having number of emails, each save in separate folder. If it does export the entire EML folders at once with preserving data? EML to MBOX Converter Software easily convert all the folders of your EML files at once and you don’t need to repeat the whole process again. Before initiating the conversion, just make sure to save all the EML folders in single folder after that convert them into EML file with preserve data. 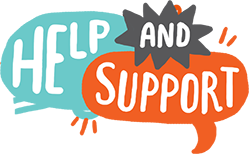 My EML file support outlook express so will software convert its data into PocoMail MBOX files? Yes, this software is capable to convert any client supported EML file for conversion into MBOX file supported any email clients. Use this program for outlook express EML file to PocoMail MBOX files. IBM Lotus Notes Client must installed on computer. Get unlimites NSF file to MBOX file with just few and quick steps using by eSoftTools NSF to MBOX converter. See Step by step conversion of Lotus Notes Database NSF to MBOX file. I Get My NSF file to MBOX format..
On downloading the NSF to MBOX Converter Software trail, I was capable to view preview of all emails so I purchased this software as it appeared to work. I liked everything about this software, really very helpful program for lotus notes emails conversion to outlook along with emails and attachments. I have purchase this NSF to MBOX Converter Software as it showed me the entire mailboxes in demo version. Finally, the software exported all mailboxes of NSF file to PST and names.nsf file to vCard and CSV format. The GUI is magnificent and software was great and best, I hope this feedback will definitely help to all IBM lotus notes admins too..thanks a lot..